Welcome to the tempur buying guide. Here we’ll cover the important questions and help you to decide if Tempur products are right for you. This guide will give you a little bit of insight into the unique properties of Tempur sleep technology. It will help you select the right Tempur mattress or pillow, taking into account your sleeping style and any issues you may have. 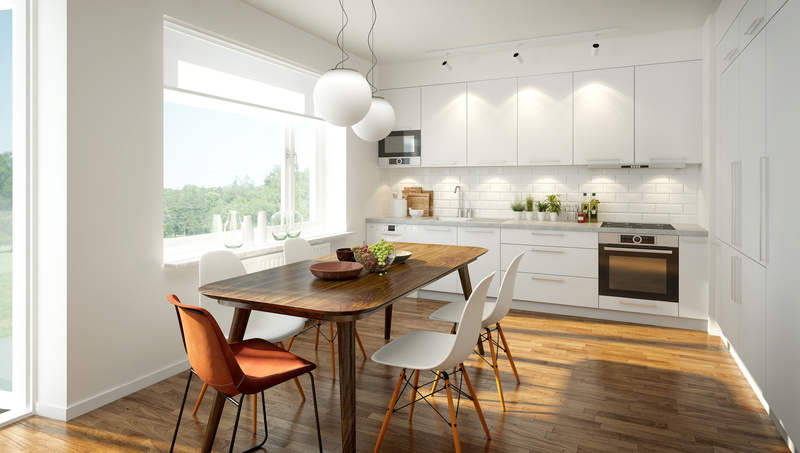 If after reading this tempur buying guide and you have further questions, please don’t hesitate to call 01252 325525 and speak to one of our experts. Our full range of Tempur beds, mattresses, pillows and accessories can be viewed here. Is Tempur memory foam right for you? Tempur memory foam mattresses and pillows are often lauded as the most comfortable available, and the best for back, neck and joint pain. But like any mattress, they’re not for everyone. Tempur offers four mattress types, each with a unique feel and distinct properties. How you sleep and any sleeping problems you have will influence the type you go for. Our bedroom department at Ash Vale has a mini Tempur showroom, where you can see a range of Tempur beds, stretch out on any of the four mattress types and rest your head on a Tempur pillow. Please note: before you buy a mattress from Tempur or any other brand, we strongly advise a visit to our showroom to try it out, as the suitability of a mattress is personal and variable. You can see our full range of Tempur mattresses and pillows here. Memory foam is made from viscoelastic polyurethane and was invented by NASA in the 1960s to cushion astronauts during lift-off. When NASA released memory foam to the public domain in the early 1980s, Tempur was the first company to take the material seriously as a commercial product. Memory foam is made from viscoelastic polyurethane and was invented by NASA in the 1960s to cushion astronauts during lift-off. 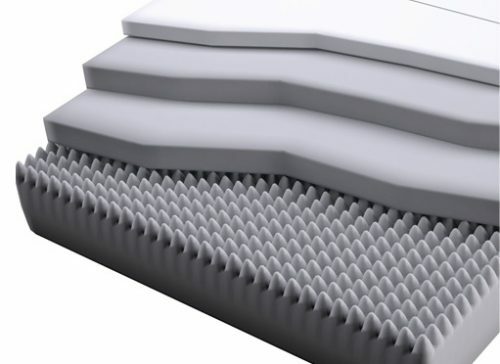 Tempur saw the benefits of memory foam as a sleeping aid, so the company refined and perfected the NASA technology and, in 1991, invented the first ever memory foam mattress using its own proprietary formula. So what is the difference between Tempur memory foam and generic memory foam? Tempur memory foam has an indulgent 85kg density, much higher than generic memory foam products. This means it doesn’t fluctuate in firmness and temperature like generic foam, and lasts much longer. Tempur’s patented composition provides minimal motion transfer — only 3% ‘rebound’ compared with up to 20% ‘rebound’ with generic memory foam. Minimal motion transfer means you can move around on the mattress without disturbing your partner. The open cell structure of Tempur material allows it to react to your body temperature, conform to your body shape and evenly distribute your weight much better than generic memory foam. This allows it to eliminate virtually all pressure points, offering supreme comfort and support and making you feel weightless. Tempur material is more durable than knock-off memory foam and has a lifespan of 10 years, much longer than other memory foam products. Tempur mattresses and pillows are clinically proven to reduce tossing and turning from an average of 100 times a night to 17. Tempur beds and pillows are the only ones in the world to be officially recognised by NASA and certified by the Space Foundation. Tempur offers four types of memory foam mattress: Original, Cloud, Hybrid and Sensation. The Tempur Original mattress range has all the core benefits of Tempur material and is designed to offer a firmer feel. 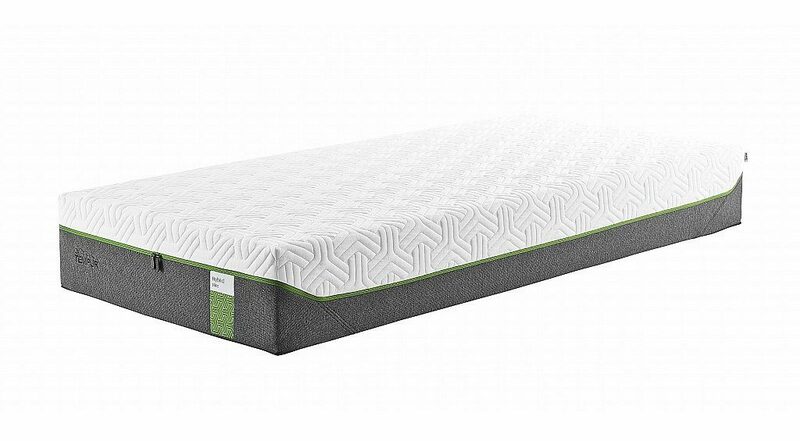 The Tempur Cloud mattress range combines Tempur memory foam with a newly developed comfort layer, and is designed to offer a softer feel and instant relaxation. The Tempur Hybrid mattress range is enhanced with Precision micro coils. It’s designed to offer a faster response to your body’s movements and includes a QuickRefresh cover that’s super-easy to remove and wash. The Tempur Sensation mattress range has a special layer with the familiar buoyant feel of a traditional sprung mattress, combined with all the core comfort benefits of Tempur material. How you sleep will influence which of these mattresses you go for. In general, firmer mattresses are better for stomach sleepers (Tempur Original) and softer mattresses are better for side sleepers (Tempur Cloud). Back sleepers tend to opt for something in between (Tempur Hybrid and Sensation). Of course, the unique properties of Tempur memory foam mean that it will support your body shape whatever your sleeping position. In general, firmer mattresses are better for stomach sleepers (Tempur Original) and softer mattresses are better for side sleepers (Tempur Cloud). Back sleepers tend to opt for something in between (Tempur Hybrid and Sensation). Those who suffer from arthritis or back pain might prefer the soft initial feel of the Tempur Cloud. And if you prefer the feel of a spring mattress to a memory foam mattress, try Tempur Sensation. However, the best method of choosing your Tempur mattress is to come in to our Ash Vale showroom and try them out.Based near Guildford, Vale Furnishers are one of Surrey and Hampshire’s leading furniture shop specialists. We have Original, Cloud, Hybrid and Sensation mattresses on display, and you’re very welcome to put your feet up and have a lie down so you can get a feel for them. And as it’s Vale Furnishers, we’ll bring you a free cup of tea or coffee while you make your decision! Tempur memory foam pillows and accessories are known for their superb ergonomic support, excellent temperature sensitivity and sumptuous comfort. 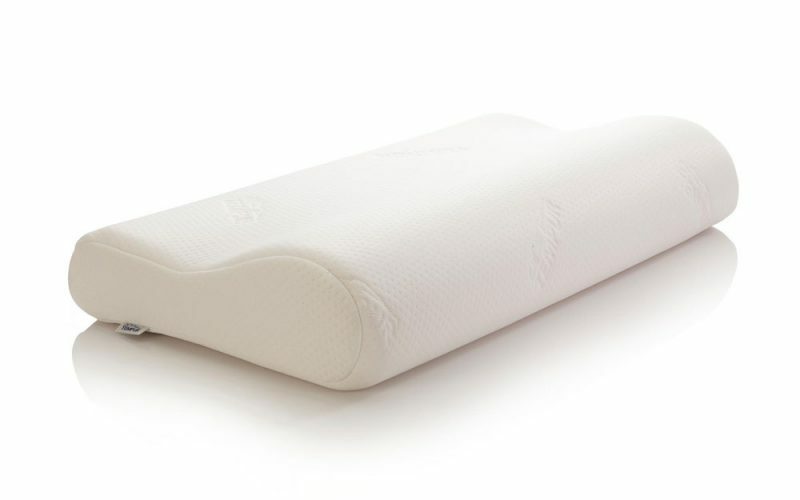 Made from the same high-density patented material as Tempur mattresses, Tempur pillows relieve pressure points, help keep your spine aligned by conforming to your natural curvature, and are great for people with neck or back pain. Tempur memory foam pillows and accessories are known for their superb ergonomic support, excellent temperature sensitivity and sumptuous comfort. Choosing a Tempur pillow or accessory depends on your individual needs. We have Tempur Original, Cloud and Sensation pillows, each offering the same unique feel as their matching mattresses. Neck pain and your sleeping position will influence your choice of softness, hence we offer soft, medium and firm traditional pillows. For specific needs and areas of well-being, we have a range of specially designed accessories: the Tempur Seat Wedge helps improve your posture, and the Tempur Care and Support Leg Spacer relieves pressure on your legs and ankles and helps you lie or sit more comfortably. We also sell a range of Tempur travel cushions and travel sets. A Tempur mattress doesn’t need any maintenance and you don’t need to flip it; one of the many advantages of Tempur is its durability and longevity. Most Tempur models now feature removable, washable covers, which are useful for airing the mattress and keeping it clean. Your Tempur pillow should not be washed, as contact with water will damage the material. Your Tempur pillow should not be washed, as contact with water will damage the material. As with Tempur mattresses, most Tempur pillows now feature removable covers that can be washed in accordance with the instructions on the label. 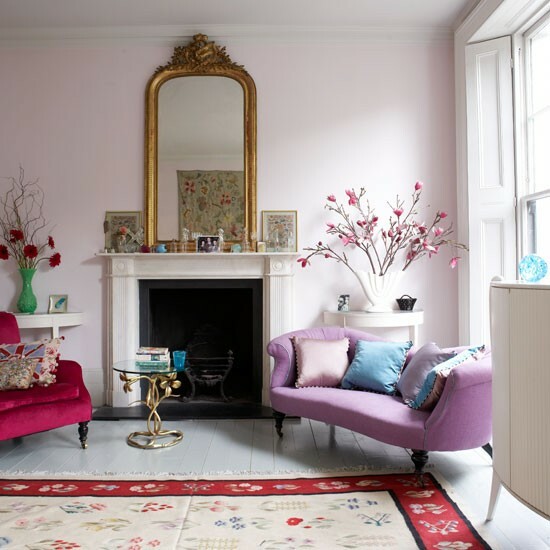 Based near Guildford, Vale Furnishers are one of Surrey and Hampshire’s leading furniture shop specialists. We have our very own sleep experts here at Vale Furnishers, armed with a wealth of knowledge about beds, mattresses and pillows. If you have any general or bed-related questions not covered in this tempur buying guide, please do not hesitate to call 01252 325525 to speak to one of our advisers. As mentioned, our foremost piece of advice is: try before you buy. Pop into our Ash Vale showroom and get a feel for our Tempur beds and pillows, because everyone’s sleeping patterns and comfort/support needs are different. 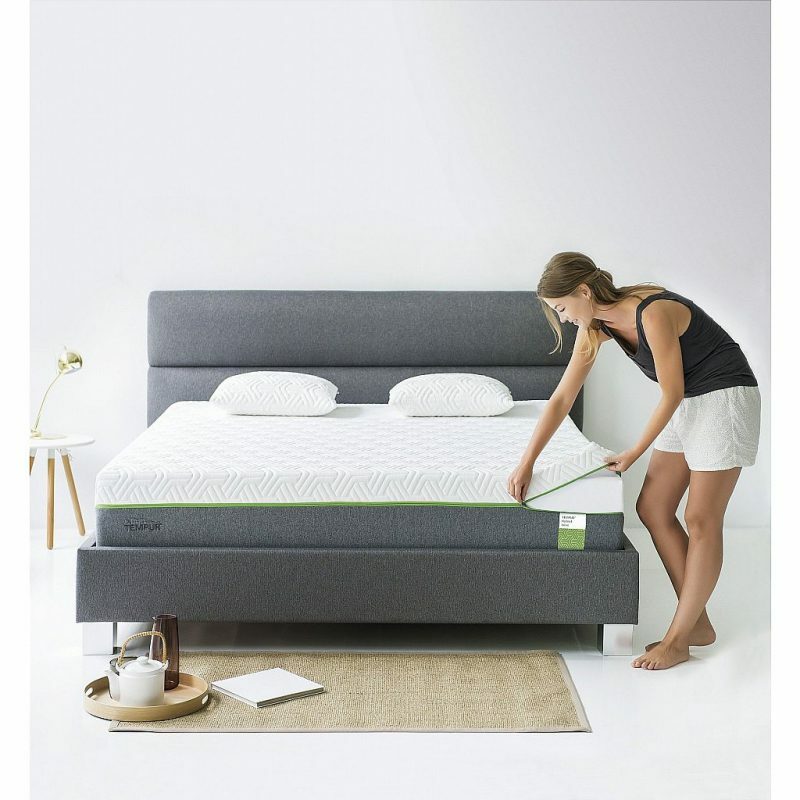 And if you decide that Tempur memory foam isn’t for you, we also sell traditional open coil spring beds; pocket sprung beds; orthopaedic beds and mattresses; beds with unique spring systems; and hybrid mattresses combining springs with layers of memory foam. 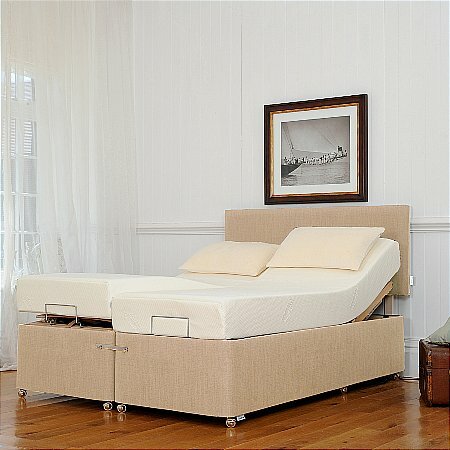 These are supplied by the some of the best bed brands in the UK, including Harrison, Hypnos and Myer’s. We hope this tempur buying guide will help you to make informed decisions for when you decide to purchase Tempur for yourself. Are you looking for a memory foam mattress or pillow? Are you looking for the best memory foam mattress or pillow you can buy? Are you looking for a mattress or pillow that will last much longer than other brands? Do you want a low-maintenance bed or pillow? Do you prefer a soft or firm mattress/pillow? Do you suffer from back, neck or joint pain? Would any Tempur accessories and special cushions be useful to you? For more information on choosing the right pillows, please refer to our simple pillow buying guide. Do you have any questions not covered in this tempur buying guide?